J. H. Blackburne dominated British chess during the second half of the 19th century, and at one point he was the world’s second most successful player. 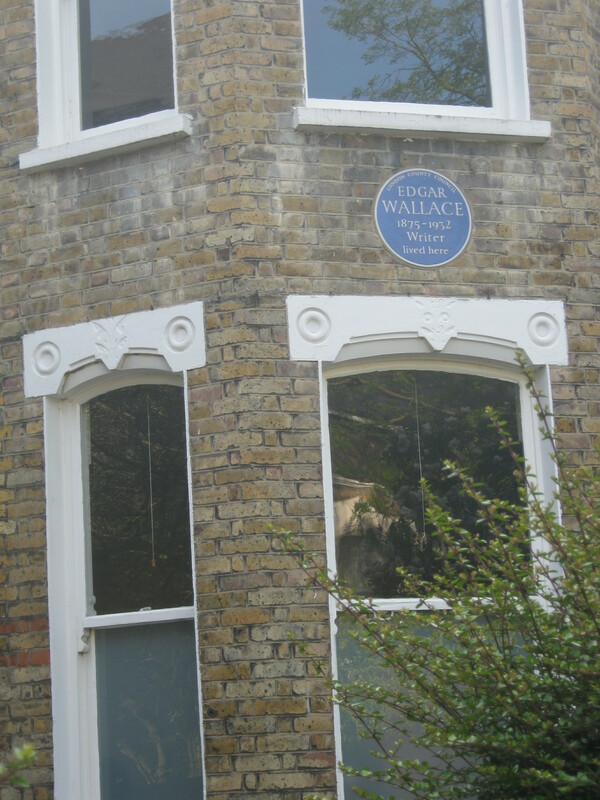 He is perhaps best known for losing heavily to Wilhelm Steinitz and for taking it badly, but according to the biography by Tim Harding he was living in 9 Whitbread Road, Brockley at the time of the 1901 census, later moving to 45 Sandrock Road and then number 50 in the same road, where he died on 1 September 1924. So number 45 has changed over the years more radically than number 50, but not as radically as the place in 9 Whitbread Road. Now then, it is known that Blackburne was bombed-out during a German raid in the First World War, but the dates are such that it’s unlikely the view above came into being that way. 1. Avoid “Fantastic Morleys” on Endwell Road. 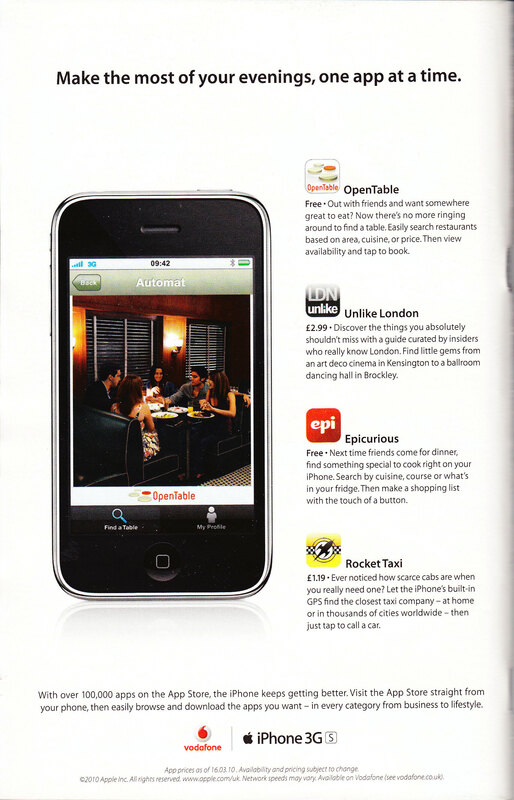 It makes out it’s related to South London’s favourite chicken shop “Morley’s” but it definitely isn’t. They even got closed down for a few months for an “uncontrollable” cockroach infestation. Doesn’t seem to have put off the punters mind. 2. Gulen’s on Brockley Road does a fine kebab and is on the way from Brockley station to St Johns. Engage them in conversation about their Ataturk frieze and they’ll treat you like a brother. 3. Doorstop Bakery gently wafts the delightful smell of baking bread across Brockley of an evening. They make a good sandwich too. 4. Brockley is now all kinds of gentrified so it has a couple of upmarket delis that are worth checking out. 5. For some nice (slightly pricy) food and a good beer the Orchard on Harefield Road is a good shout. Gantry is meant to be nice too but I haven’t actually been. 6. For a takeaway curry “Panas Gurka” is the only way to go for some Nepalese goodness. 7. The dentist in New Cross is a bit ropey. 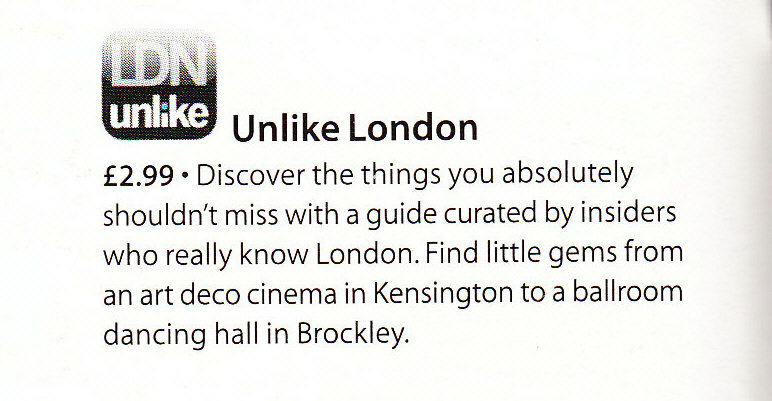 A friend signed up for one that’s just opened in Honour Oak Park which he rated and which would be worth looking up. 8. Ziman (dentists in Crofton Park) are actually very good. 9. The Wickham Arms on the top of the hill on Upper Brockley Road looks like it might be a nice pub. It’s not (unless it’s been done up in the last year or so). 10. If you have a craving for late night confectionary you can always pop into Dukes “Night Store” on Brockley Cross. 11. Don’t find yourself on top of Telegraph Hill in the middle of the night when there’s a pea-souper fog. You will get lost. 12. It’s probably worthwhile getting a bike since it’s a bit spread out for taking the bus/walking. Also all those hills mean you get some exercise without needing to travel very far. 13. There’s a very good butcher’s in Ewhurst Road (Crofton Park). 14. The Brockley Jack has very nice toilets and is reassuringly safe these days, nearly all the time. 15. Less of an issue if you have a landlord/flatmates, but Terry’s (the locksmith next to Crofton Park station) have an emergency service and will come and rescue you, for a price. 16. Worthwhile registering with a doctor while you’re not too busy–the shiny new health centre in Deptford might be your best bet. 17. Some useful info about various subjects on Brockley Central. As a service to the community, we post this appeal that came through the letterbox today. We know nothing further, as can be seen below! 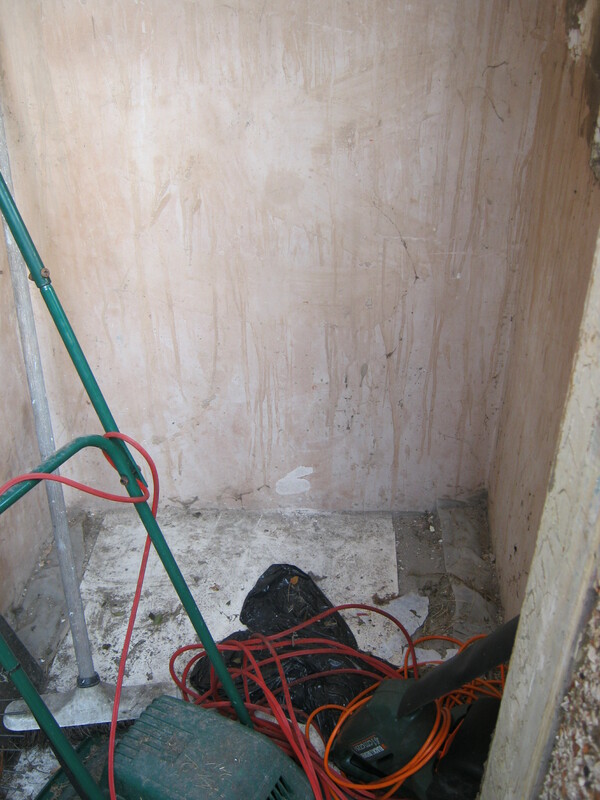 Conscientious picture of cat-free outbuilding. 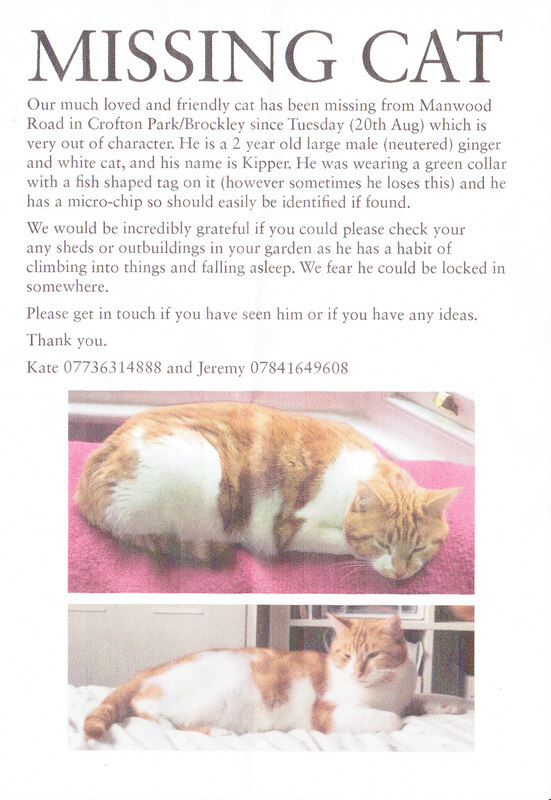 UPDATE 5 SEPTEMBER: Kipper has now returned home–see comments below. Since people very sensibly decline to lose all their money by opening a bookshop–secondhand or otherwise–in the vicinity of Brockley SE4, I’ve decided to undertake a desultory survey of what the local charity shops have to offer. 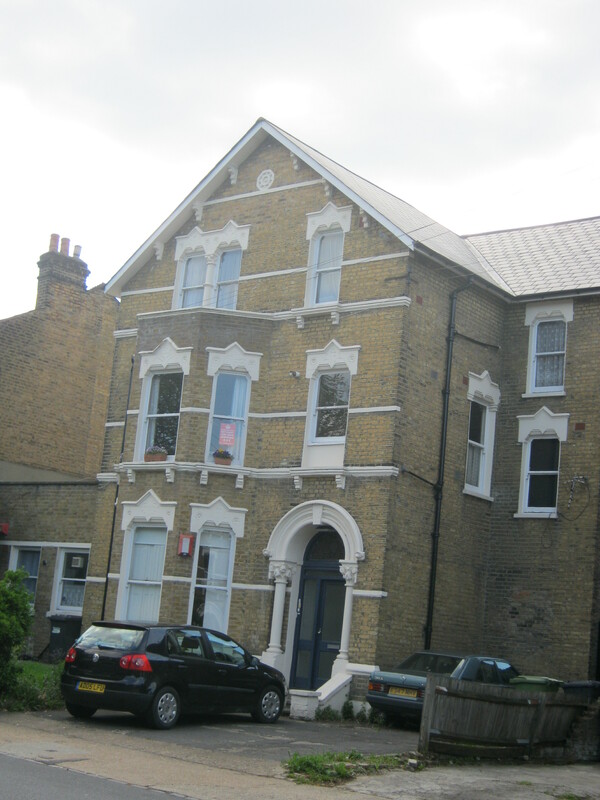 My first investigation took me to Forest Hill SE23. 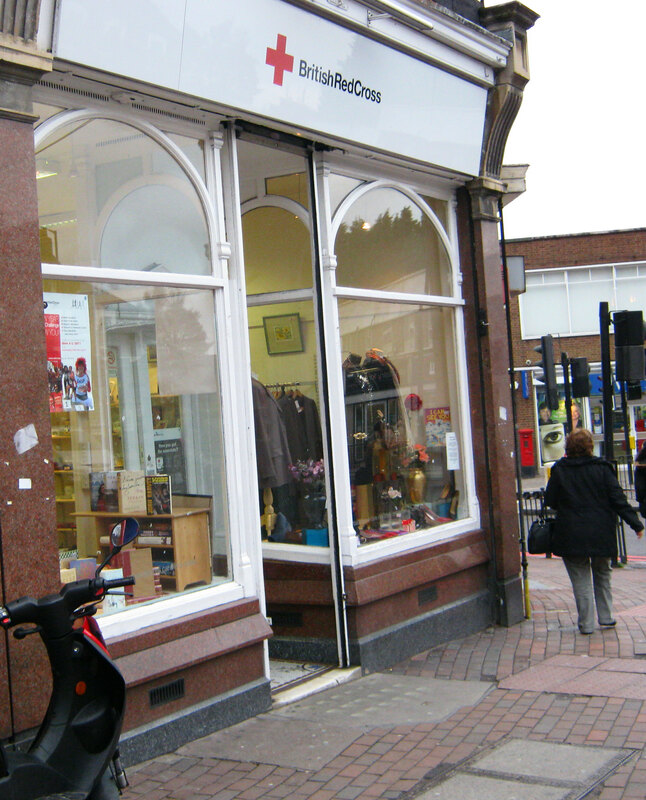 The Red Cross shop at 6 London Road was the only one I could call readily to mind. It turned out to have say 11 shelves of books, say 450 volumes in all. I noticed about 6 titles that I would have bought if I hadn’t already read them. I came nearest to buying The Child that Books Built by Frances Spufford, but at £1-50 it was rather expensive for the condition (heavily tanned pages). 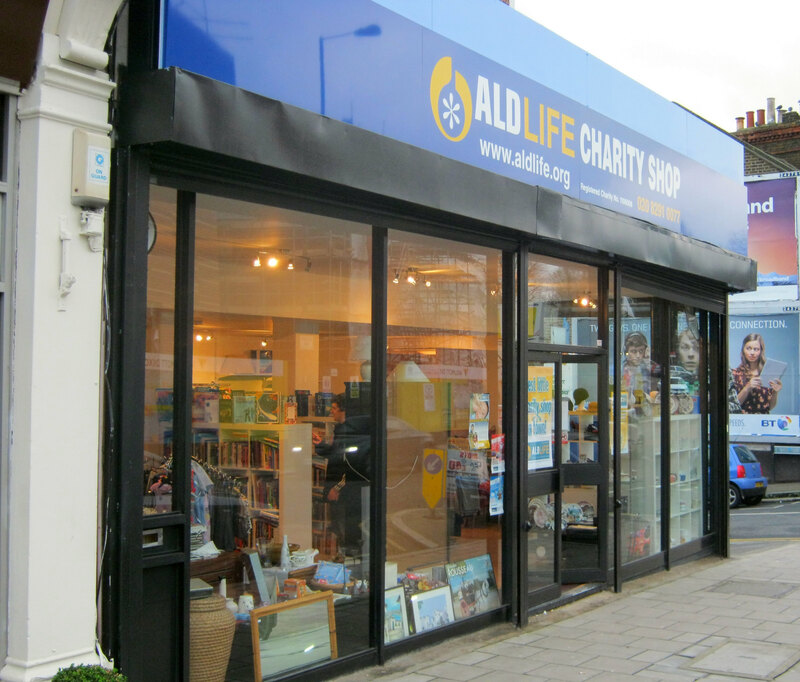 Then completely by chance I came across the Aldlife shop at 81-83 Dartmouth Road. I didn’t know there was a charity shop there and I didn’t know there was such a thing as adrenoleukodystrophy either. Anyway, the shop had about 800 books, excluding the separate children’s section. It also had a nice polished wooden floor to sit on while looking at the books. There was one copy of Atonement (as against two in the Red Cross and a couple of interesting-looking books in German (surely you should have German books in Forest Hill). The nearest I came to buying anything was The Richness of Life, a selected Stephen Jay Gould in one volume for £1–but it had too much bulk and too little content that was new to me. 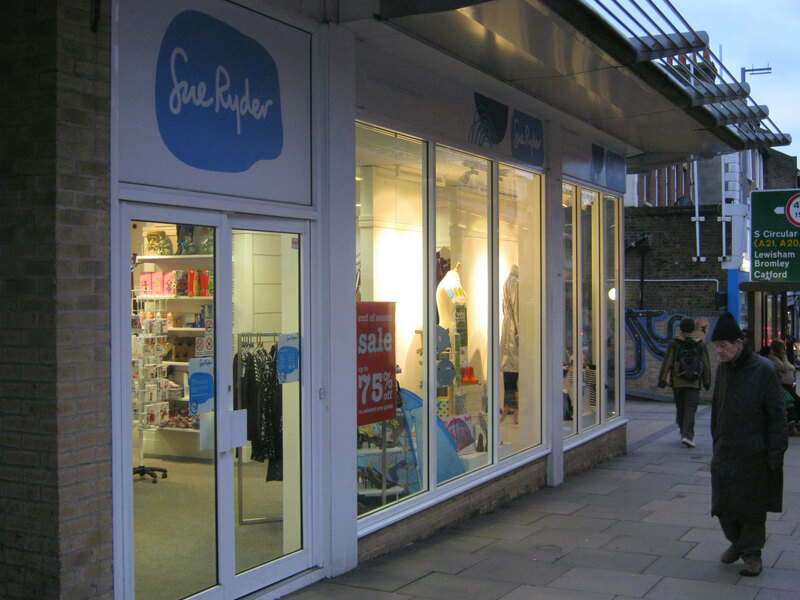 Finally I visited the Sue Ryder shop at 30/32 London Road. I knew the shop was there, but I’ve never been sure of the difference between Sue Ryder and Ann Summers. This one had 10 shelves of books, say 400 volumes in all, and the shelves were equipped with speakers relaying music loud enough to stop me concentrating. There were quite a few books in the might have bought category–it looked like someone from Try Books! must have been taking their discards there. The nearest I came to came to buying anything was Self Help by Edward Docx at £ 3-95 for a bulky hardback (I think paperbacks were £ 1-45). On further inspection, I found a shelf of travel guides hidden away beneathe the displаy of DVDs in another part of the shop. No Ian McEwan this time, but plenty of Ngozi Adichie Chimamanda. Like the Red Cross, this shop had a sign up saying they wanted more stock. 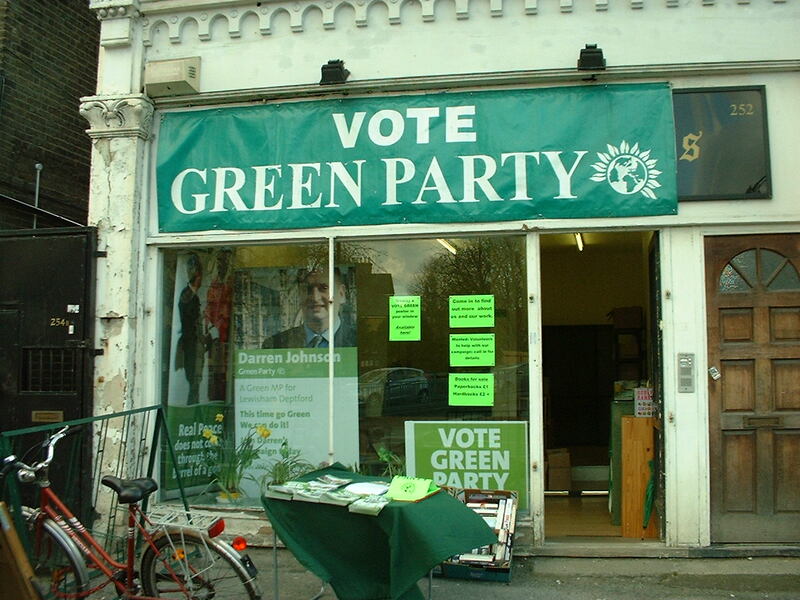 I was surprised to come across this place–apart from anything else, I don’t think I’ve ever seen a Green Party office in this country before (Germany certainly, perhaps other places as well). 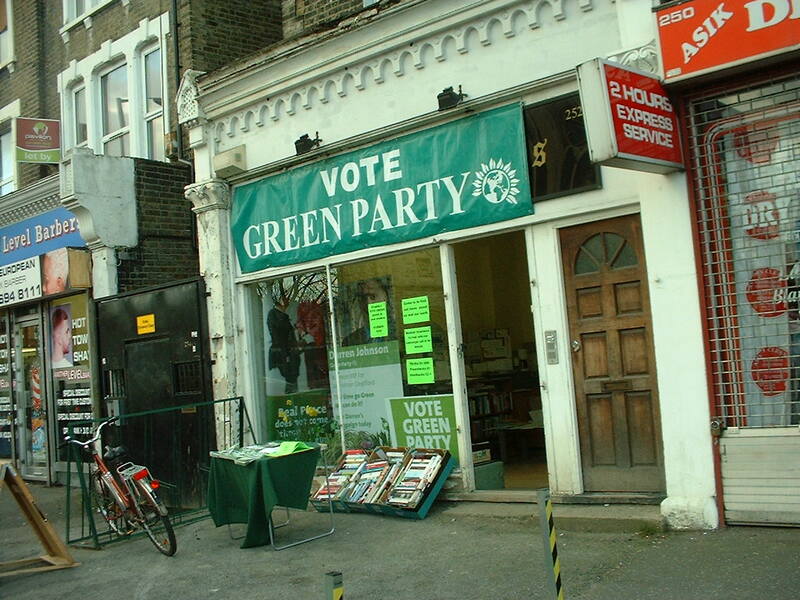 And they’re selling books as well–general, secondhand, not special Green ones–there hasn’t been anything resembling a bookshop (even a Catholic one) in Brockley for some time now. After this, I did spend some time on my Sunday walk wondering whether Lewisham Deptford was the kind of place where a Left Opposition (to Labour) might succeed, if the Greens and Lib Dems were able to combine their forces somehow. But I think that what the rank-and-file voter here wants from politicians is a job, somewhere to live, a place for the children in a decent school–the kind of thing a machine can provide, not the dreams of the overeducated and underoccupied. So they’ve got about as much chance as Trotsky did, though I don’t think they need worry too much about ice-picks. In fact machine must be the best translation for administrativny resurs in Russian, since it’s the nearest–though far from exact–equivalent that English-language political practice can offer. Anyway, there’s an ‘official’ posting about this place here. 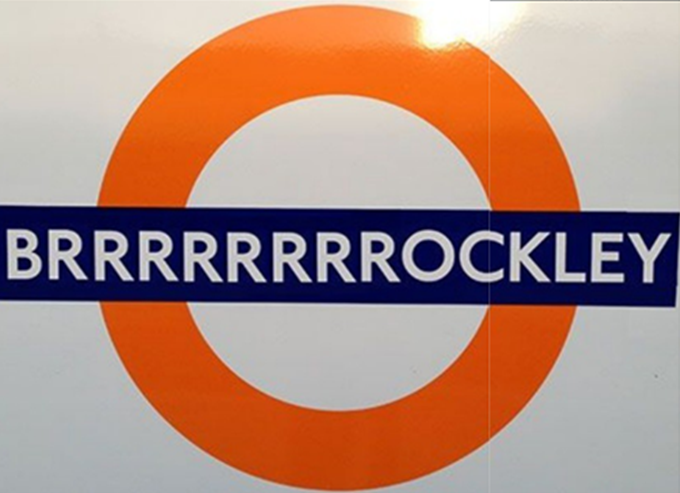 The interesting point is that the parallelism between Brockley and Kensington surely means that people are expected to know that Brockley exists, and perhaps even where it is. Brockley Palace? Brockley Gore? Imperialist College of Science and Technology, South Brockley? 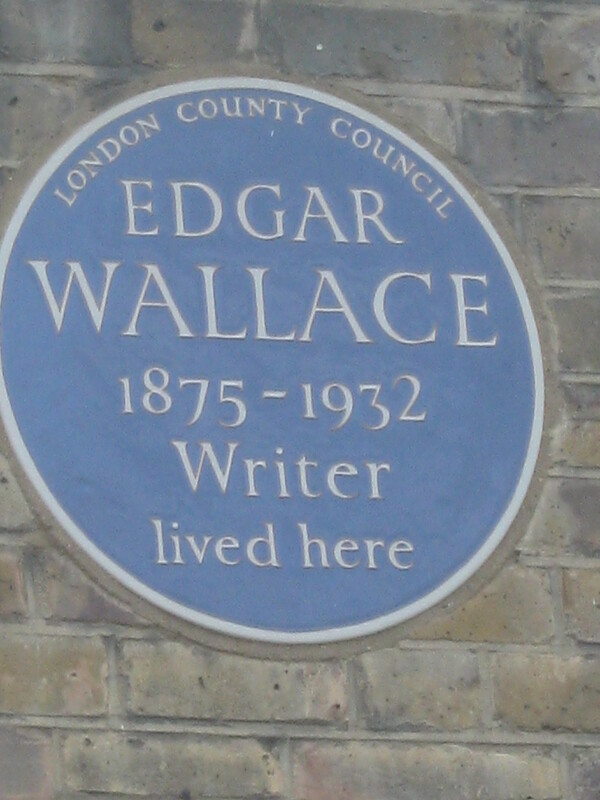 A Far Cry from Brockley, by Muriel Spark?